Marc and Jen Olson is in charge of the Youth Group. They have help from the parents and several other members of the congregation with events. Activities listed below are for all ages. In addition, we prepare our youth in Grade 7 through 9 for affirming their faith by joining together with other Lutheran congregations in the York Conference Catechetics Program (YCCP). Classes are held Sundays from 6:00 p.m. - 8:00 p.m. at Luther Memorial. 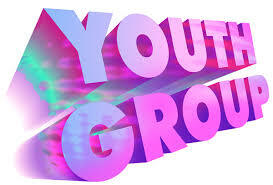 Would you like information on events coming up for the Youth Group? Fill out the form on the left to receive one. ​Do you have an idea for an event that the youth could do? Fill out the form on the right. An event that could teach the youth more about the Bible or can have reference to the Bible in some fashion would be preferred. Fun activities are fine as well.